I know this sounds terrible because he just lost his son, but Michael annoys me to no end. He flies of the handle at anyone who crosses him in any way. It should be ok for him to grieve the loss of his son, for him to go to every effort to find Walt. But Michael gets so unreasonable, blaming everyone else for his problems, being insensitive and ungrateful for the work they do for him. He wants to stop at nothing for his son, but it's often at the cost of others. Sometimes even at the cost of Walt's own welfare. Michael doesn't always know what's best, but he won't listen to others and pushes ahead anyways. It's this that annoys me, because for these people to survive, they can't have someone doing that. He gets so upset with Sawyer, judging him for not caring for anyone, after Sawyer risked his life for Walt, perhaps showing more care than even Michael. This episode also brings us back to the hatch. It goes back in time, before Jack went down into the hatch in the last episode, filling us in on what happened with Locke and Kate. I wonder if they will keep using this format in other episodes to answer questions left by events, going back and filling in events from another perspective. It's pretty genius storytelling, and I would love it if they did this. 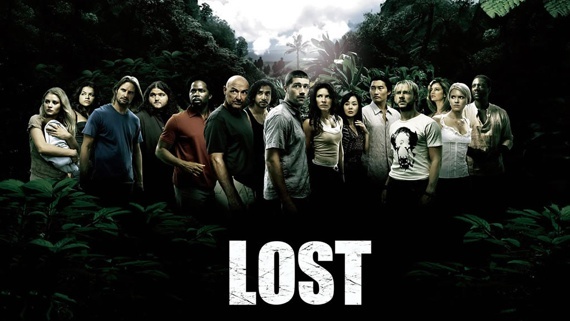 The flashbacks have already been immensely helpful, and I would love it if, as they progress longer on the island, if they go back and revisit some of the earlier events. Because, honestly, this show could do with a little more clarity now and then. I mean, I like the suspense, but if the show could go back to the beginning once in a while that would be awesome. Anyway, in the hatch we find that Desmond has in fact been there a very long time, and seems to be waiting for someone, though he's not sure who exactly. He's hopeful that Locke is that person, but soon finds that Locke doesn't know anything. 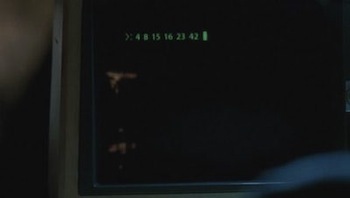 We also find that Desmond has to enter Hurley's numbers into a computer, that then resets a timer. What the time is for, and why it uses those numbers, we don't know. These episodes seem to be giving a lot of new information, a lot is happening. But, as always with this show, new answers only bring more questions, so here's to another season of questions!